Harrisonburg City Council approved revisions to Section 7-3-1 to 7-3-80 of the Sewer Ordinance on August 14, 2018. Inspection and Pump-out Requirement: Ordinance changes require all septic systems in the City of Harrisonburg be inspected and pumped-out once every five years. Pumping out a septic system removes solids and scum from the tank before they can reach and clog the dispersal system, potentially causing a malfunction or failure of the system. Septic Connection to Sanitary Sewer Financial Assistance Program: The City of Harrisonburg Septic Connection to Sanitary Sewer Financial Assistance Program will provide incentives to homeowners with septic systems that wish to connect to the sanitary sewer system. Incentives include a $4,500 waiver of towards the Public Utilities connection fee, $2,000 maximum towards plumbing and tank abandonment fees, and a 50% credit applied to the homeowner’s Stormwater Utility Fee. The maximum credit for Stormwater Utility Fees is 50%, even if homeowners are already receiving a credit on their Stormwater Fee. Homeowners would be responsible for the remainder of the Public Utilities connection fee and any plumber and tank abandonment fees exceeding $2,000. Priority would be given to properties in areas where sewer is available and sewer laterals already constructed. Public Utilities will perform site visits to determine connection feasibility. Ordinance changes require all septic systems in the City of Harrisonburg be inspected and pumped-out once every five years. The Septic System Inspection Form must be completed at the time of the pump-out. If the septic system has been pumped and inspected as recently as 2014, please provide documentation with the inspection form and the requirement for compliance may be deferred 5 years from the date of the most recent pump-out and inspection date. 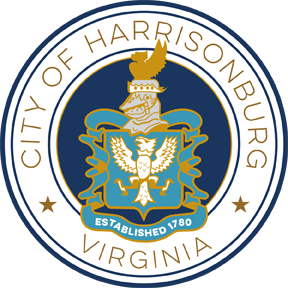 It is the property owner's responsibility to submit the completed Septic System Inspection Form to City of Harrisonburg Public Utilities Department; Engineering Division (2155 Beery Road, Harrisonburg, VA 22801). Level 1: The public sewer main line is available to the property. A sewer lateral has already been constructed. The Public Utilities connection fee has previously been paid. No connection fee waiver is offered to Level 1 properties. Plumbing and tank abandonment financial reimbursement is offered to Level 1 properties. $2,000 Maximum. Level 2: The public sewer main line is available to the property. A sewer lateral has already been constructed. The Public Utilities connection fee has not been paid. A $4,500 connection fee waiver is offered to Level 2 properties. Plumbing and tank abandonment financial reimbursement is offered to Level 2 properties. $2,000 Maximum. Level 3: The public sewer main line is available to the property. A sewer later has not been constructed. The Public Utilities connection fee has not been paid. Available to the first 30 properties to apply. A $4,500 connection fee waiver is offered to Level 3 properties. Plumbing and tank abandonment financial reimbursement is offered to Level 3 properties. $2,000 Maximum. Level 4: The public sewer main line is not available to the property. Connection fee waiver and plumbing and tank abandonment financial assistance is not offered to Level 4 properties. To move designation from Level 4 to Level 3 (or above), the property must have a public sewer main line available. Level 4 properties are eligible to apply for a sewer main line extension through the Application for Water and Sewer Main Extension. Refer to Section 1 to determine your property’s estimated level designation and review program options above. For Level 4, apply for a Sewer Main Extension Application. An extension of the existing sewer main line will determine whether your property is able to move from Level 4 to Level 3 and therefore be eligible for financial assistance. For Level 1-3, collect a plumbing estimate from a Virginia licensed plumber. The property owner will need to call a plumber of their choosing for this task item. It is recommended to call and collect multiple estimates from licensed and registered plumbers before contracting with a plumber. Contact the Public Utilities Department to coordinate the City’s field engineer and plumber to determine the most feasible connection to the sanitary sewer main line. The field engineer will pull the manhole cover and provide the available depth to the plumber [See task #4(c)] and will verify Level designation from Section 1. Collect a lateral estimate from the Department of Public Utilities. On step 3 (3. ), Public Utilities will provide a cost estimate to the property owner covering department costs for the sewer later construction. Note that these costs will be waived up to $4,500. 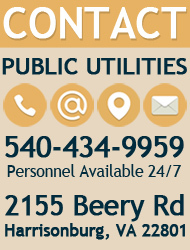 If all cost estimates are agreeable for payment by the property owner (taking the outlined financial assistance from Section 1 into consideration), go to Public Utilities to confirm property owner contact information and sign an Agreement for Participation in Harrisonburg Septic Abandonment Assistance Program. Call (540) 434-9959 with any questions prior to visiting. Public Utilities will verify if the application is complete and the connection is feasible. If so, Public Utilities will sign the Agreement for Participation in Harrisonburg Septic Abandonment Program. Public Utilities will do their best, barring unforeseen circumstances, to construct the sewer lateral within 90 days of confirmation by the property owner. If the Agreement is signed by Public Utilities, the property owner should contract with the licensed plumber for necessary plumbing work. The contracted plumber will need to apply for and obtain a plumbing permit from the Community Development Department. They are issued over the counter. The fee for the permit is $67.32. Ensure the contracted plumber performs an elevation check to achieve positive gravity flow from the house to the public main. [See task #3]. The contracted plumber will need to construct nearly all the lateral but withhold tying into the house plumbing until the City’s sewer lateral construction is completed. The contracted plumber will need to return to make the final connection after Public Utilities constructs the sewer lateral within the right of way. The contracted plumber will contact the Public Utilities Department to complete the connection to the city sewer main. The contracted plumber needs to contact Community Development once the plumbing is complete and the trench is still open. Install an approved insulated 18 ga wire along the pipe. A Community Development building inspector will conduct a site visit to inspected and approve closing the plumbing permit. The building inspector will require a water test with a 10 foot head of water. The contracted plumber will then need to backfill the trench. Property owner should contact a licensed septic pumper and hauler to abandon the septic tank per Health Department requirements (tank is pumped, crushed, and limed before filling the excavation with clean fill). This should not occur until the property is connected to the public sewer main line. The Harrisonburg-Rockingham Health Department contact is (540) 574-5200. Property owner is responsible for contacting the Virginia Department of Health and Public Works Department to notify them the septic disconnection and connection to the sanitary sewer system has taken place. Upon notification of tank abandonment and connection to the sanitary sewer system, Public Works will implement a 50% stormwater utility fee reduction and send validation of this adjustment to the property owner. Property owner submits a W-9 and all associated receipts and documentation to Public Works for recordkeeping and reimbursement for the plumbing and tank abandonment. Processing through the Purchasing Department may take up to 2 weeks. Public Utilities will bill any outstanding fee beyond the $4,500 to the property owner if costs exceeded this amount. Note: average cost to install a lateral is typically less than $4,500. Only atypical conditions would push this cost higher than expected. If proper documentation is submitted, Public Works will provide a reimbursement up to $2,000.